Home > Blog > Q&A with Carmel Bird. 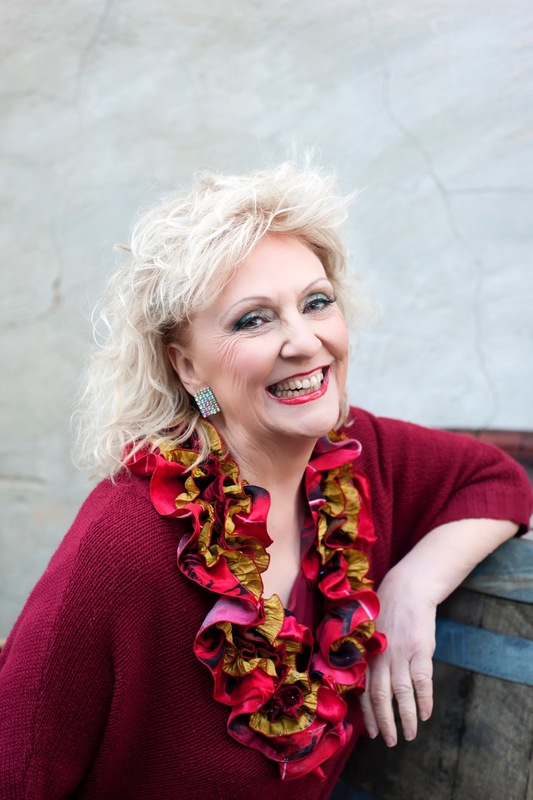 If you’re interested in writing a memoir and haven’t yet signed up to Carmel Bird’s fantastic upcoming workshop, have a read of this inspiring Q&A to wet your appetite. Or, even better, sign up before reading to secure your place! I love the title of your workshop ‘Stuff that Happened’. It seems deceptively simple. Do you think that’s a common misconception first timers have about memoir writing? I am so pleased you like the title. In fact I gave the workshop that title because it exactly characterizes the basic impulse for telling personal stories, and I wanted to jolt people into realizing that that is what memoir is. It is a response to a deep human need to reflect on things that happen, and to shape events in language so that the events and the feelings about those events can be conveyed to other people. What are the three most important things to remember when writing a memoir? Writing memoir is no simple matter. The memories and emotions of the writer are intricately bound up with the very heart and soul of that writer. But the writer is also part of a wider collection of people who will inevitably be part of the process, one way or another. I could sum this matter up by saying the writer is well advised to consider who is the proposed audience for their work. Perhaps the most important thing to do is to write from the heart. Other important things to do are to read and write. Are you writing purely for yourself (this is rare), trying to put down for your own satisfaction and interest some parts of your life that are very significant for you? If so, do you need to write well? Yes you do. Are you writing a memoir in order to offer the results to your family? In this case you need to make decisions about how you imagine other members of the family might feel about the tone and information of your stories. You may wish to consult other people, or then again you may not. Are you writing a piece of memoir in order to publish it in a newspaper or a journal? This writing has a different and wider audience, and requires shaping in certain ways to conform to the type of publication. If you are embarking on a book-length text for general publication, your principal concern is probably tone. There are also issues of who will get hurt and how, and also legal issues. Read some examples of memoir and take note of what is being done and how it is being done. I think This Boy’s Life by Tobias Wolff is a good place to start. What would you say about the importance of emotional truths vs. factual truths in memoir writing? Well this is one of the huge questions about writing. Some people say there is no such thing as a ‘fact’, no such thing as ‘truth’. There are people who have a condition called ‘higher superior autobiographical memory’. I believe there are sixty people like that known in the world today. Memory is such a vast and troublesome human quality. Do you really remember an event, or is your ‘memory’ of it a rehearsed narrative you have constructed from your own tellings, from the tellings of others. What does the word ‘memory’ really mean? In my work as a teacher of memoir writing, I encounter many fascinating examples of the fluidity of memory. Just one simple example. Two sisters in their sixties sat side by side in my class. They both wrote about their grandfather’s fob watch and chain. One sister swore it was gold, the other that it was silver. Neither would budge. I suppose for one sister the emotional truth was silver, the other gold. In a sense you have to aim for both ‘emotional’ truth and ‘factual’ truth. What you aim for and what you get – you do your best. I begin writing first thing in the morning, at around six, before the day has really begun. My mind is fresh from sleep. My unconscious is still probably active from dreams. Is this my favourite time to write? Probably. But I write whenever and wherever I can. I am constantly thinking about writing, reflecting about writing, and of course writing. I write at my desk which looks out into a dreamy scene of lush and restful green – a wall covered in ivy and a great big golden ash. Right now (summer) the ash is green, but it changes with the seasons. This is an inspirational sight, but I also write on trains and in cafes and all over the place. Who are some of your favourite memoir authors? There are so many. My all-time favourite is Vladimir Nabokov. I love Experience by Martin Amis. The Watcher on the Cast Iron Balcony by Hal Porter. Maybe Tomorrow by Boori Monty Pryor. The Year of Magical Thinking by Joan Dideon. Dylan Thomas A Child’s Christmas in Wales. There’s a long list in my book Writing the Story of Your Life. What do you enjoy more, writing fiction or memoir? Or do they each have their own unique appeal? They really do both give me a great deal of pleasure. They are different in some ways, but sometimes not so very different. Fiction writers are both liars and truth-tellers. So are memoir writers. What do you hope participants will walk away with after your workshop? I hope they will wander home thoughtfully, feeling confident that they can get on with the task of writing memoir, nourished by the inspiration of the day, and pleased with the work they have so far undertaken. Ready to write every day. That helps. What would be your top three tips for aspiring authors who are feeling overwhelmed by the process? I remember that Elizabeth Jolley always suggested they go for a walk. I would endorse that, and I would add that it can even help to go for a drive. In other words, you move, move away from the problem and come back to it refreshed and perhaps even positively inspired. Step back and don’t stress, and then sort things out bit by bit, sentence by sentence, word by word. Water the garden (from tank water). Read an inspiring book. Do some simple writing exercises. Get back to work. The more practice you get, the better you can judge things like this. Knowing a piece is finished becomes an instinct. Another way of saying this is to say that a writer can listen to the writing, listen to the story itself, and it will tell where it ends. Read the work out loud. Always do that. Listen to the music of the sentences. Would you say growing up in Tasmania influenced your desire to become a writer? Wherever writers spend their early years will probably have a profound influence on their work. It’s not just the place, but the time too. I was born in Launceston at the beginning of the Second World War. It was a time (obviously) of great upheaval in the world, and although Launceston was a very long way from the reality of the conflict, the war had a particular presence in my life. Also, I had great teachers at Launceston High School, a house full of books, and I was generally encouraged to notice things that were going on, and also to write. One marvellous piece of writerly inspiration came my way – at high school there was a program whereby students wrote essays about Australia and exchanged them with essays from American students. The choice of topic was open. I was, in a very unfashionable way, interested in the convict and indigenous histories of Tasmania. So I wrote about them. The teacher said he couldn’t send an essay about those things to the American high school. Nothing much wrong with the prose; it was the subject matter that was the problem. That was a terrific lesson in censorship, and it inspired me to continue to write about forbidden topics.